File photo of Astrodome during Houston Livestock Show and Rodeo 2017. Tickets are sold out for the public to see the historic Astrodome in Houston as it is now for the last time before new construction begins. The “Domecoming Party” is at 5 p.m. today. The Astrodome is the world’s first domed and air-conditioned stadium. It was called the “Eighth Wonder of the World” and seated 72,220 people. When it opened in 1965, it was the Harris County Domed Stadium. When the Colt 45 baseball team was renamed the Astros, the domed stadium was renamed the Astrodome. The Astrodome was the first major sports facility to install artificial grass called Astroturf. For 30 years, the Astros played in the domed stadium before moving to Minute Maid Park in downtown Houston. The Houston Oilers and Houston Rockets also played at the Astrodome before moving to NRG Stadium and Toyota Center. 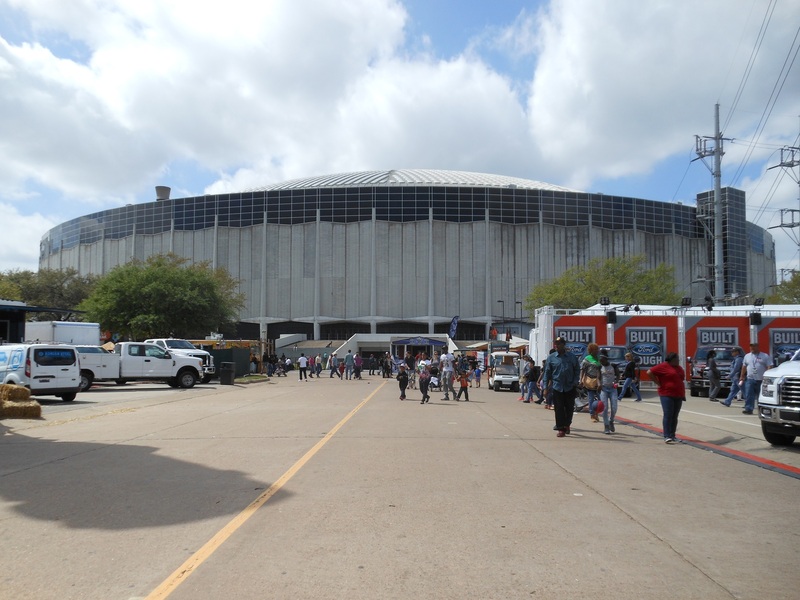 The Astrodome also was the main site for the Houston Livestock Show and Rodeo before NRG Park. The Astrodome also became a mass shelter for Hurricane Katrina evacuees in August 2005. For years, the stadium’s future was uncertain as it stood closed and empty. Recently, the Harris County Commission unanimously approved a design plan and $105 million to renovate and change the historic stadium into an events center. This entry was posted in Harris County News, Houston News and tagged Astrodome, Astrodome Future, Houston Astrodome. Bookmark the permalink.